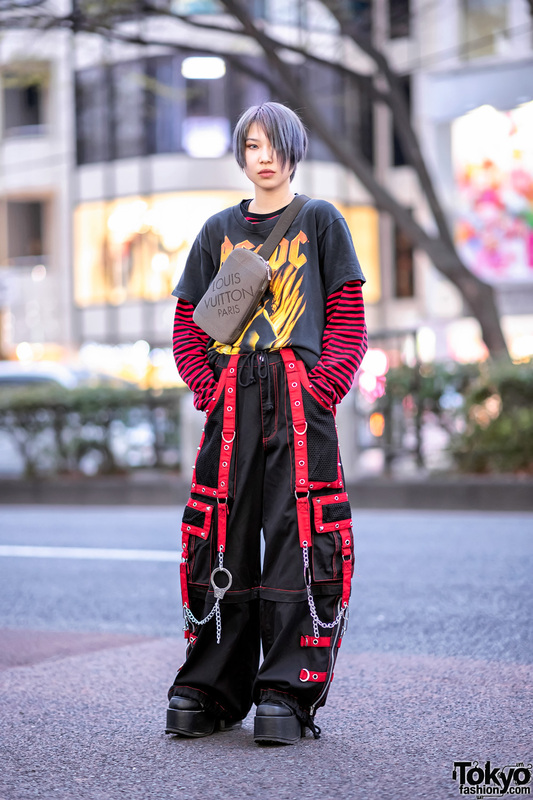 We came across Yoneko, a Japanese idol whose style and cute personality made her stand out on the street. 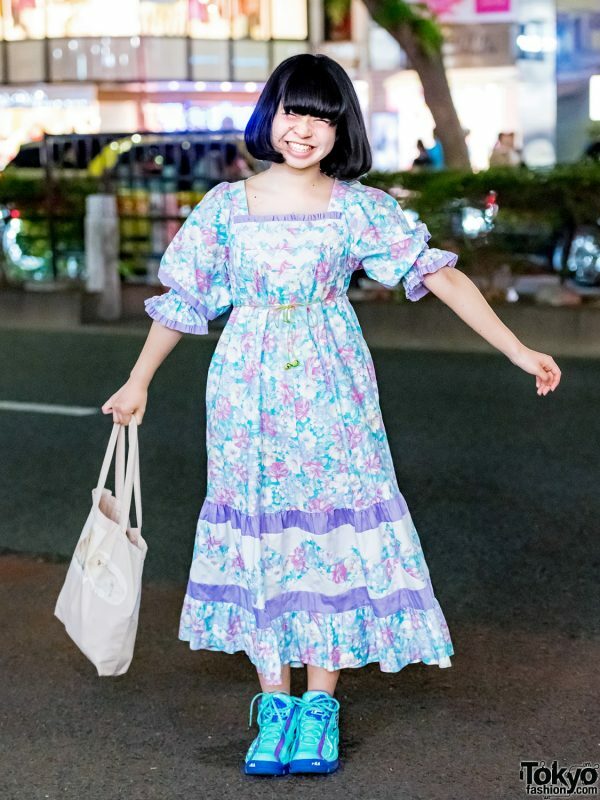 Sporting a blunt bob, Yoneko is decked out in a blue-purple-pink vintage floral print dress with a scooped neck with frills and ruffles, cinched with mint green earphones used as a belt. 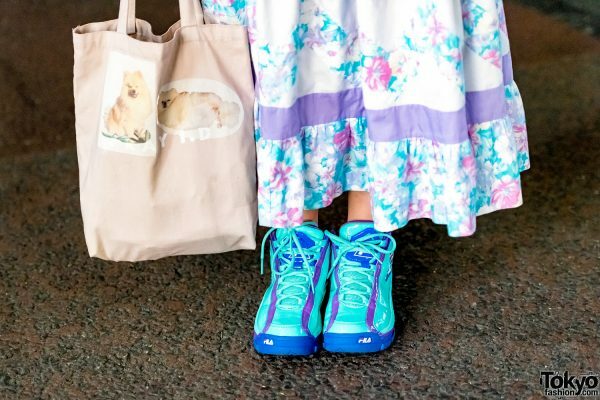 She styled her printed dress with blue-and-purple Fila sneakers, and a FRAY I.D. 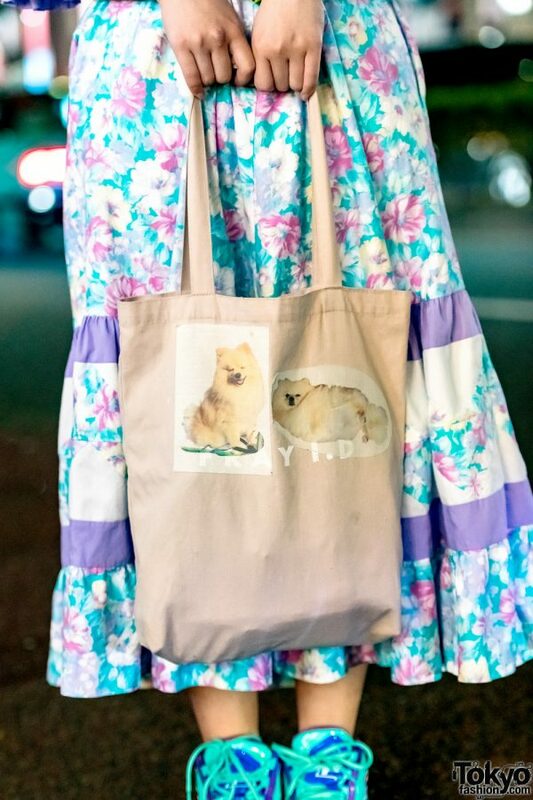 Pomeranian tote bag. 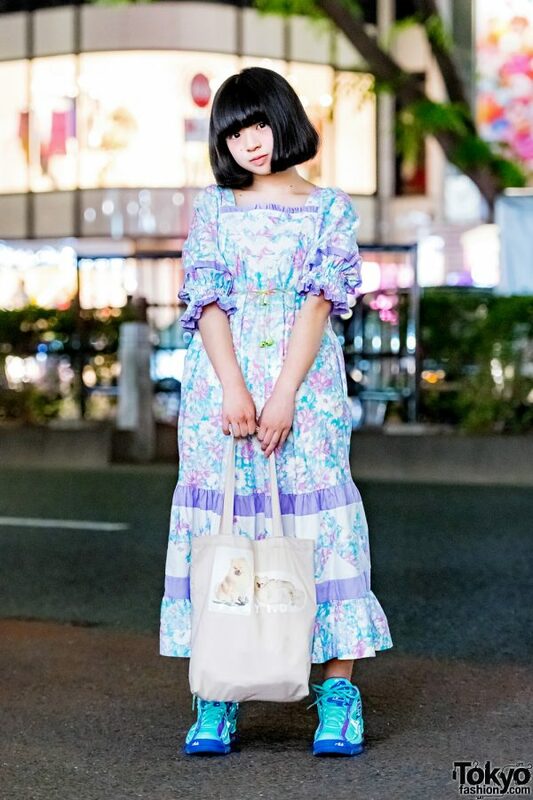 Candy Stripper and Angelic Pretty are two of Yoneko’s favorite brands, and she enjoys the music of Migma Shelter and Akai Ko-en. 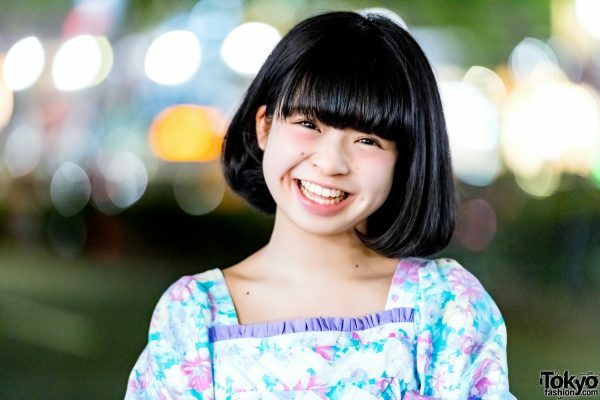 Follow her on Twitter and Instagram.